Hi there! 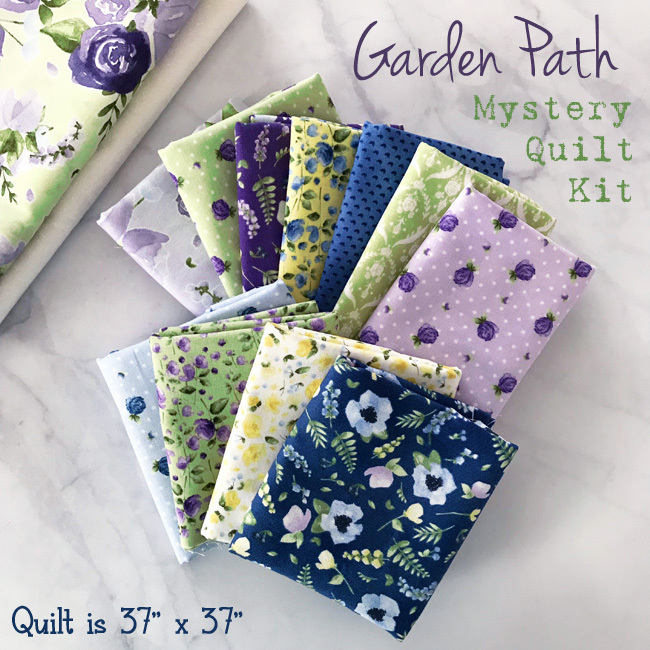 We will be starting our next Mystery Quilt NEXT WEEK! I am so excited about this one! It is perfect for spring and I know you guys are going to LOVE it! So be sure to pick up a kit this week so you are ready to sew along with me next week! So be sure to pick one up before they sell out - and let's sew together! I really like to do this, but I have to finish the heartly one first. My husband was ill, and I was unablee to sew for some days. Now he's good as new again.